EPCC has developed a small, portable Raspberry-pi based cluster which is taken to schools, science festivals etc. to illustrate how parallel computers work. It is called “Wee ARCHIE” (in fact there are two versions in existence) because it is a smaller version of the UK national supercomputer ARCHER. It is actually a standard Linux cluster and it is straightforward to port C, C++ and Fortran codes to it. We already have a number of demonstrators which run on Wee ARCHIE that demonstrate the usefulness of running numerical simulations on a computer, but they do not specifically demonstrate how parallel computing works. This project aims to develop and enhance existing and in-development demonstrators that show more explicitly how a parallel program runs and its real-world applications. 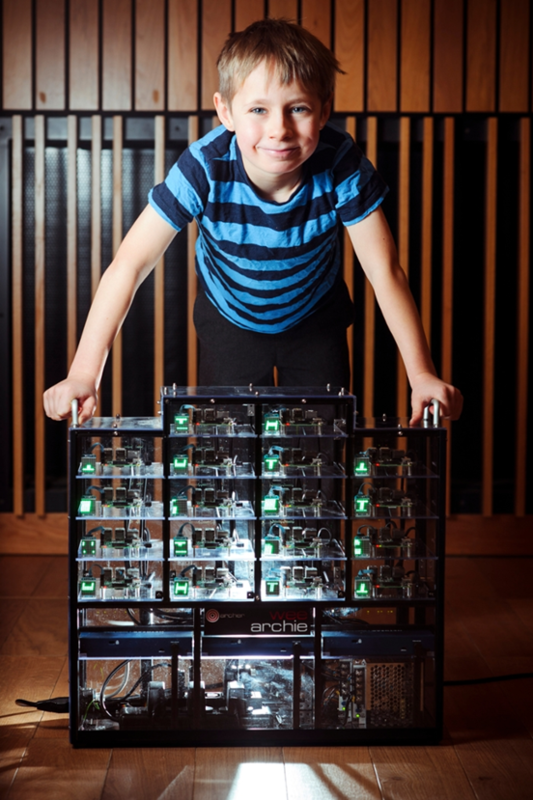 This is often done by showing a real-time visualisation on the front-end of Wee ARCHIE, or by programming the LED light arrays attached to each of the 16 Wee ARCHIE nodes to indicate when communication is taking place and where it is going (e.g. by displaying arrows). The aim is to make it clear what is happening on the computer to a general audience, for example, a teenager who is studying computing at school or an adult with a general interest in IT. The demonstration considered for development is focused on coastline management. This looks at possible flood barriers and how they influence wave height and spatial location. The project will involve understanding how these programs work, porting them to Wee ARCHIE, designing ways of visualising how they are parallelised and implementing these visualisations. If successful, these new demonstrators will be used at future outreach events. The Wee ARCHIE parallel computer, with someone from our target audience for scale! Working with real parallel programs. Learning how to communicate technical concepts to a general audience. Ability to program in at least Python. Previous experience in visualisation and/or animation would be a bonus. Programming experience/desire to learn at least one of C, C++, Fortran. The Supercomputing MOOC would also be useful – if this does not run in a suitable timeframe then we can give the student direct access to the material. 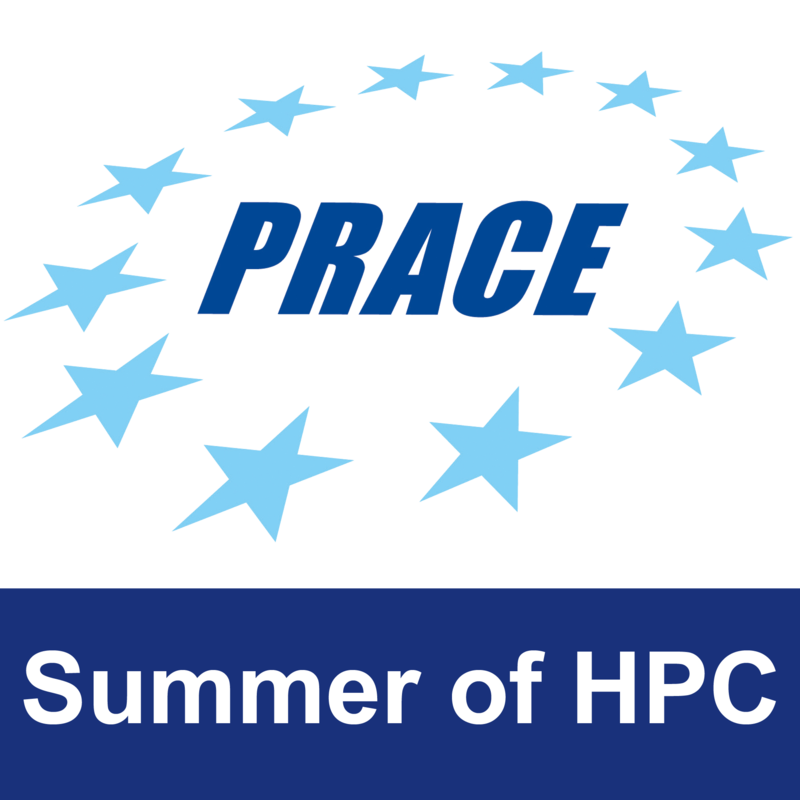 Access can be given to MSc in HPC training materials. The project will start with the student familiarizing themselves with existing parallel programs including a traffic model and a fluid dynamics simulation. The second phase will be porting these to Wee ARCHIE. After that, the student will explore ways of making the parallel aspects more obvious to a general audience, e.g. via real-time visualisations or programming the LED light arrays on WeeARCHIE. The final phase will be implementing these methods and packaging the software up for future development. One or more demonstrator applications developed for Wee ARCHIE that can be used at events such as science festivals and made available more generally for others interested in the public understanding of science. There are many additional programs that could be looked at in addition to the simulation mentioned above. Various other simulations exist for the WeeARCHIE platform which could instead be enhanced or existing datasets of results could be further analysed rather than involvement in active development of the more recent simulations. The student will need access to Wee ARCHIE at some points, but although we have two systems this cannot be guaranteed as they are often offsite at different events. However, we have smaller test and development systems which will be available at all times.